Updated Wednesday November 12, 2014 by Franklin Little League. A team who is preparing for a scheduled game that day/evening has priority over a team who may be using the cages for practice reasons. The team also has priority over anyone else who may be using the cage. Each team may use a cage for no more than 30 minutes. Each team is limited to using one tunnel. You cannot have a manager in one tunnel, a coach in another, etc. No players should be swinging bats outside of the cage area. This is an unsafe situation when there are several kids swinging bats while waiting for their turn. No warming-up, playing catch between the batting cages and field #6 (the softball diamond). This also is an unsafe situation, especially for the players and parents heading to field #6 for their game. 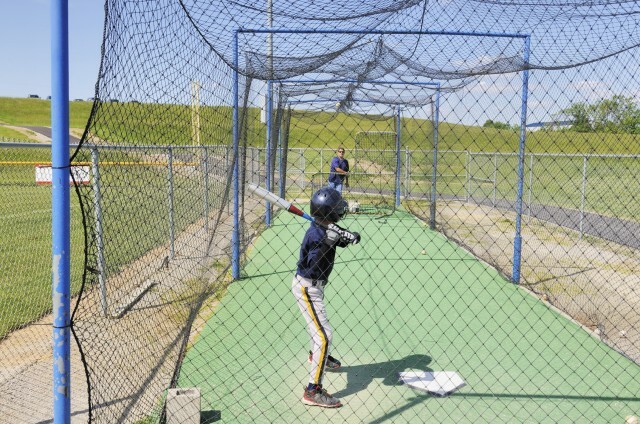 If games are rained-out, so are the batting cages. Cages cannot be used if games are called off due to rain or inclement weather. Failure to adhere to these rules will result in a manager and/or team being banned from use of the batting cages.